Warner Music THE wonderful thing about this album is that it is unlike anything else I've heard. 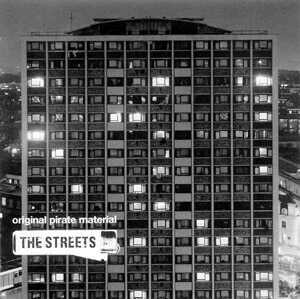 The album is the work of 21-year-old MIKE SKINNER, a Birmingham native who wrote, produced, arranged and performed the tell-it-like-it-is album. Combining a variety of elements of dance, the album is predominantly a garage-based album. But THE STREETS manage to bring an underground sound to new ears, layered with Skinner's thick cockney raps. By track three you'll find out whether Skinner's vocal styles are your cup of tea. Insightful and funny, the album is the ideal listen to gain a rough guide to life as a 20-something living in the UK. Lighthearted and funny tracks like TOO MUCH BRANDY, DON'T MUG YOURSELF and THE IRONY OF IT ALL are all sure to leave you laughing. But Skinner can also take things seriously on tracks like WEAK BECOME HEROES and STAY POSITIVE, which offer straight-up and honest lyrics. After one listen it's easy to develop a lasting mental image of the events of each song. Skinner's storytelling talents are unique and the album has created a genre of its own.